X-rays are one of the most effective ways to diagnose dental problems. Often, problems start deep inside the teeth or underneath the gums. By the time they are visible, extensive damage has been done and you may be in pain. We’d much rather catch developing problems when they are small and easily treated – and we’d definitely prefer to catch them before they cause you pain! 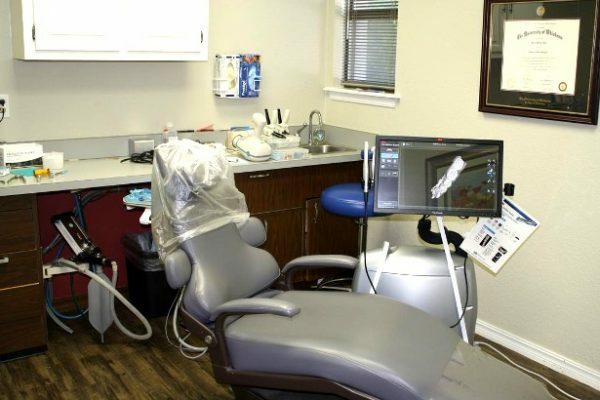 Dentist have been using x-rays for a long time, but recent advances in technology have made digital x-rays possible. These x-rays are faster, safer, and provide even better diagnostic capabilities than older film x-rays did. We think you’ll appreciate the difference. One of the most exciting features of digital x-rays is the fact that they reduce the already low amount of radiation emitted by dental x-rays by up to 90%! This makes the risk of radiation from our x-rays extremely low. Because your safety is so important to us, we still use shielding techniques to even further reduce the amount of radiation that you are exposed to. Digital x-rays don’t require developing like traditional film x-rays do. They are transmitted almost instantly to a monitor for viewing. This means that you spend less time waiting during your appointment. With digital x-rays, we can zoom in, expand, and highlight certain areas to better diagnose your condition and provide education. Digital x-rays are incorporated directly into your electronic patient record, so they are just a click away anytime we need to view them. Should you move or require a specialist, we can deliver your records (and your x-rays) to them electronically. Since no chemicals are needed to process the x-rays and no physical storage is needed, digital x-rays are a more environmentally friendly option. We know that you don’t want to get x-rays any more often than necessary, and we respect that. Your need for x-rays will vary depending on several factors, including your age and whether or not we are treating you for an active condition (like gum disease). If you are concerned about our x-ray recommendations for you, please let Dr. Gray know. He’ll discuss our recommendations and explain the reasoning behind the request. X-rays and photography are a vital part of the diagnostic process, and we don’t want to miss a developing problem. With routine x-rays, we can save you time, discomfort, and money. Am I Due for an Examination? We generally recommend that you have examinations twice a year with Dr. Gray at our Edmond dental office. You will not need x-rays at every examination. If you have additional dental concerns, we may recommend that you be seen more often. If you are concerned that you might be overdue, give our office a call to schedule your next check-up with Dr. Gray. We’re looking forward to seeing you!